The boom in the commercial property market in Australia is showing no signs of cooling. Melbourne, Brisbane and Perth are experiencing the lowest vacancy rates on record and the growing strength in economic conditions and high levels of business investment are providing a solid platform for growth. The worldwide demand for mineral resources is fuelling economic growth in Australia. The continued demand for resources from developing countries, high migration and low unemployment is providing the impetus for commercial property investment. The Property Council/IPD index shows the total return on Australian retail property for the year ended 30 June 2007 was 16.7% (income return of 6.7% and a capital return of 10%) and it’s predicting similar returns for the next three years for both the office and retail sectors. The value of commercial property is based on its yield. The yield is the annual rent divided by the value of the property. Properties are often valued on yield, thus if a property is rented for $8,000 per month at a 10% yield, it would be worth $960,000. Whilst there are many properties offering great yields, the opportunity for investors can be to add value to the property by renovation or improvement. The tenant usually pays all the costs or outgoings. This includes body corporate fees, rates and water. The tenant also pays for the fit out of the space. This could be paid out as a lump sum or through increased rent on an ongoing basis. Commercial leases are usually for a number of years, with an option to renew at the end of the lease period for a further 3 or 5 years. There are yearly increases in the lease governed by CPI increases. At the renewal dates, increased rents are often negotiated. It should be noted also that the time it takes to lease a commercial property could be longer than it takes for residential. Compared with residential properties, management of errant tenants in commercial properties is easier. Capital gains are linked with economic expansion. Cities that are undergoing significant economic expansion experience good capital gains. The commercial markets in Brisbane and Perth have been driven by migration and the resources boom, respectively, over the past few years. The panel beater, printer, repair shops, wholesalers and others need warehouse and industrial premises. These properties are often purpose built and thus tend to have higher yields than other commercial properties. Growth and yields are tied to local and national economic growth. Being in a busy central location has most tenant appeal. There’s been a large growth in strata offices as home-based businesses move into independent premises. For example, the finance industry is currently enjoying a boom, and every mortgage agent, taxation specialist, and accounting firm needs offices. 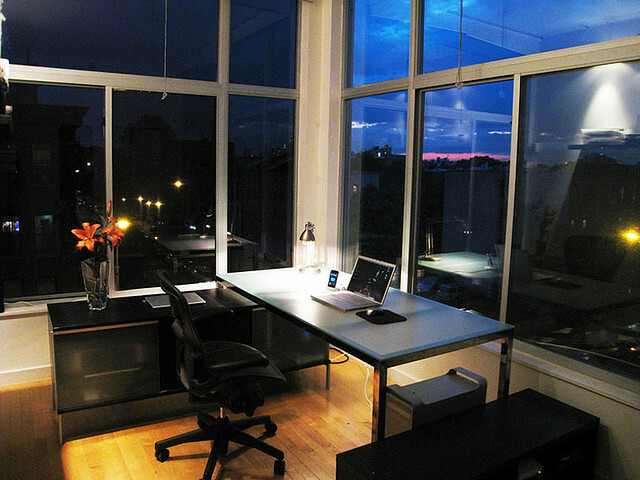 Strata offices in A grade buildings generally have more appeal and can cost more to rent. Huge shopping complexes have increased the appeal of some local strip shopping centres with village feel. Finding an area that has perennial appeal like the beachfront or a village-style centre is vital to avoid competing with the complexes. The fastest growing sector in the US currently is rented storage space. People are taking the clutter out of their lives. Storage units in most capital cities are bought with a management guarantee of 8+% return pa. Parking spaces in city buildings are snapped up in Sydney. The managing company then rents them back, often at a guaranteed return for a number of years. This is an easy way to hold a lower cost property whilst waiting for capital gains. Some houses may be able to be converted into childcare centres. This will require a council development application; however yields are significantly increased. Houses on main roads don’t always make attractive residences and sell for a lot less than similar houses in the area. However, an application to council for a conversion to a commercial lease will often provide much higher returns. These properties are attractive for dentists, doctors and accountants and, more recently, mortgage brokers. The attractiveness of small strata offices in the suburbs and in lifestyle areas like the northern beaches of Sydney is increasing and is driven by the numbers of professionals working from or close to home, encouraged by large corporations hoping to defray high rental costs. The availability of small strata-style offices in a community-style environment close to home is alluring for those wishing to create the social environment of a work place whilst maintaining lifestyle. New financial products are now available that allow self-managed super funds to borrow in order to purchase this type of property, appealing to owner-occupiers and investors alike. The economic climate is ideal for traditional residential property investors to invest in commercial property. Favourable economic conditions, the promise of good returns and underlying demand are likely to provide a strong background for continued growth. Investors looking to grow or diversify their property portfolio will benefit well from these factors over the next few years.